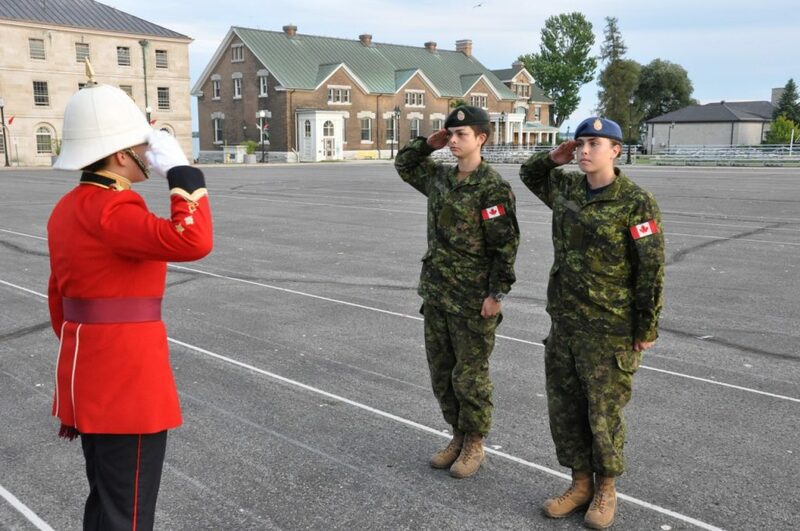 A-M Shewfelt, Training for the "M"
Passing Off the Square is a right of passage for First Years as they join the Cadet Wing. 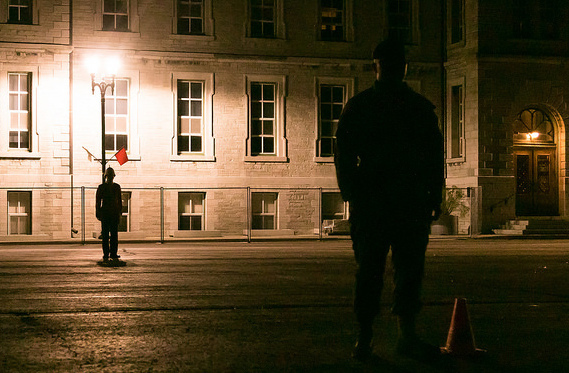 You march, along with your roommate, through a set course on the Parade Square. You present yourself to one of the Top Five after correctly presenting yourself to them. You answer a College Knowledge question. You march off. And if you’re one of the lucky ones to do it towards the end of the event, you get to do all that in the dim light of the streetlights lining the Square. The above description doesn’t really do the event itself justice. There are many Cadets who excel at either physical pursuits or more intellectual ones like College Knowledge but there are fewer who excel at both and fewer still who can do both well under pressure as a team. One small mistake, one momentary lapse in concentration on the part of either partner, and you both go around again. And again. And again, until you get it right.